In 2004 we were approached by a client specialized in Life Extension of mechanical assemblies and parts.They asked for a customized Ultrasonic Impact Peening system to be used for the treatment of welds and metal parts surfaces. The principal application was to treat critical weld joints in Offshore Oil Production Structures and Vessels. As these very expensive facilities reach their defined end of life there are clear signs of damage due to the normal stress and strains of the offshore environment. 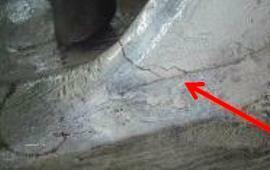 Inspection of weld joints in high-stress areas were showing clear signs of damage to welds that were cracked and had rust forming in these crack areas. Operators of these offshore structures are faced with the difficult question of maintenance, the high cost of production downtime, and the eventual very high cost of replacement. 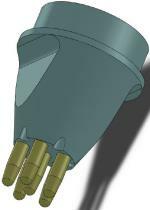 One practical and cost effective solution is Ultrasonic Impact Peening treatment of critical zones. 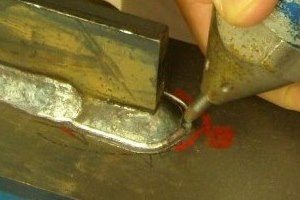 The work can be done during normal inspection periods and in many cases will reset the life of a weld to zero allowing up to 10 years of additional life. This kind of maintenance will is extremely cost and time effective not only for maintaining welds but also offering a significant saving in lost production time and more importantly extending the life of a very costly structure. Over the past 13 years we have continually improved our Ultrasonic Impact Peening system design and developed some proprietary technology to make our systems more reliable and flexible. If you have any application that you believe can benefit from Ultrasonic Impact Peening please contact us to discuss how we can help.